I have a short piece out in Penny, a cool new journal that pairs a writer with an illustrator (the illustrator for my story was Brandon Reese), as well as offering interesting writing and drawing prompts. I started writing flash pieces about a year and a half ago, when I was bogged down in a slightly experimental novel about the Iraq war, and it was so freeing to work within a 1,000 or 1500 word limit. And fun! I mean, the revision process just can’t go on for months or longer (one hopes) if your story is only a few pages long. Penny’s limit is 500 words and it is such a pleasure to work within those constraints. 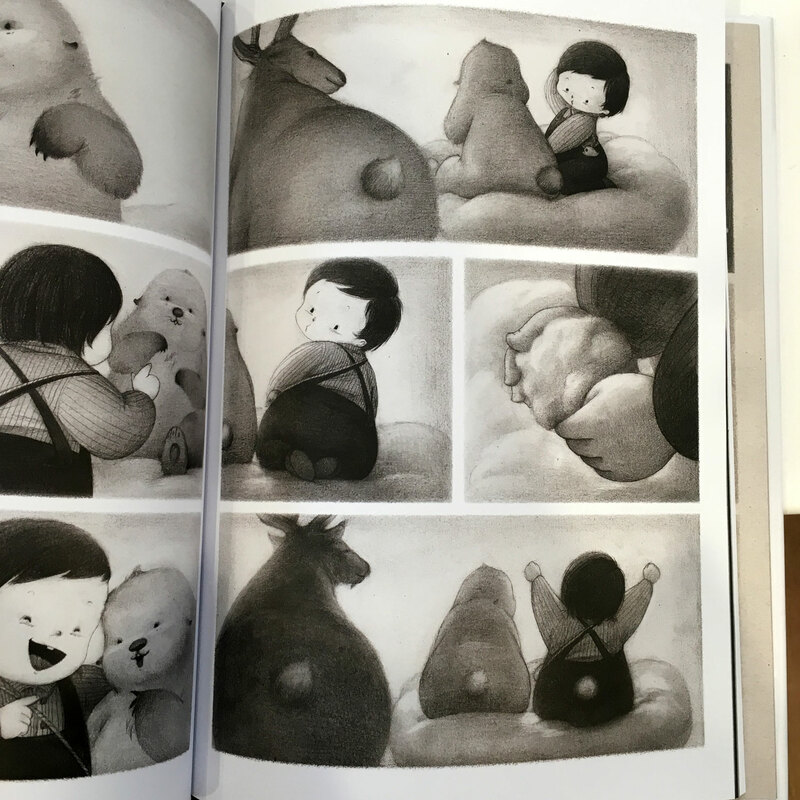 On the topic of longing for other worlds: Stella and I spent the last few days reading The Only Child (by Guojing), a wordless book told in heartbreakingly lovely pictures, and I really savored that time with her. Stella is in first grade and these days prefers long chapter books, ideally books with scary things in it, such as monsters, adventures, and danger (I’m glad I snuck in the Little House books with her when I could). Or, now that she is reading. she wants to spend our time reading Elephant and Piggy books to me. It feels like my days of reading great picture books to her (and maybe reading aloud to her in general?) are numbered. 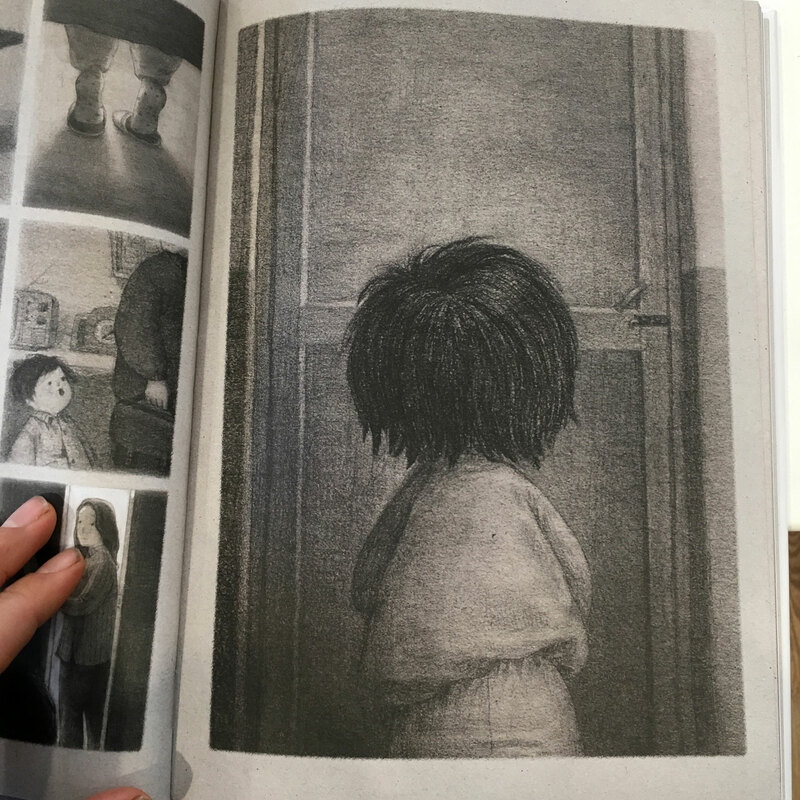 The Only Child was perfect for us though, as we took turns telling each other the story that was happening on each page – I told the story on the left page, she told the story on the right. It’s about a child who is left alone one day because her parents need to work. The child leaves the apartment and takes the bus by herself, hopefully to go find her grandmother. But she becomes lost and enters a warm and compassionate fantasy world instead. That loneliness is evident in the first 1/4 of the book, where the drawings of the real world are dimmer, as if seen through a smear of smog. 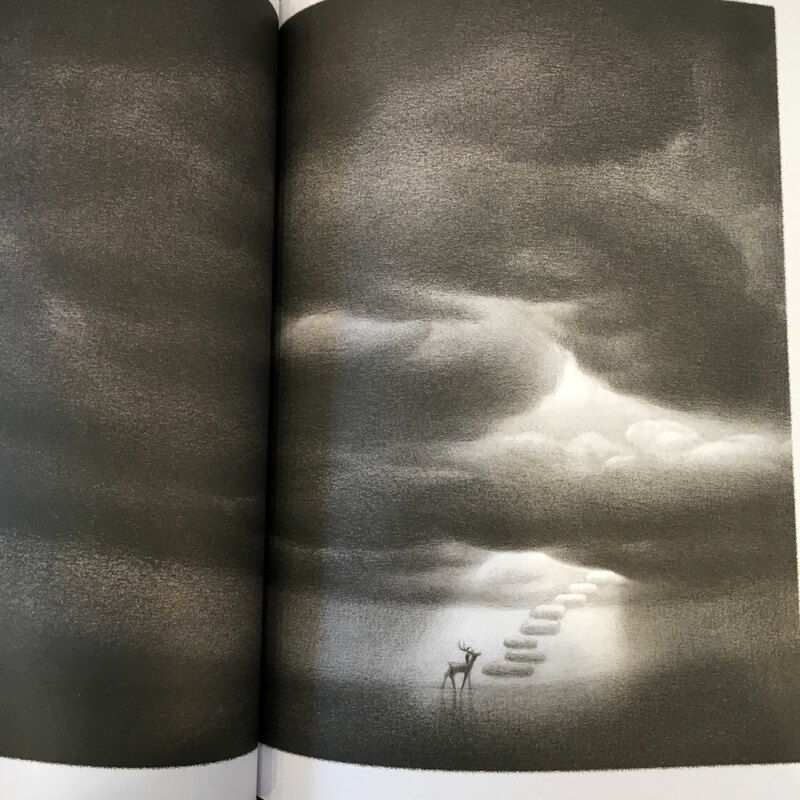 But after the child leaves the apartment and becomes lost in the woods, and rides a stag into to cloud steps into a sky, the pictures brighten, and the joy of the child playing in the clouds with her animal friends is just brilliant. That sense of joy becomes moving when remembering that such happiness, and the child’s adventure itself, is just imaginary. But then again, maybe imaginary only to us adult readers. To the child it seems real or real enough. I’ve been interested in alternative ways to tell stories: certain video games are telling some pretty fascinating narratives (That Cancer, Dragon; Everybody’s Gone to the Rapture; and To the Moon come to mind); or graphic novels; or stories without words (another favorite is The Arrival by Shaun Tan). Perhaps a Twine game is in my future. Or even going back to stories being told aloud, as sound rather than only written words (this audio reading of Dracula is a pretty fabulous example – that book works so much better to me when spoken rather than read on the page). I’ve been thinking of the one-child law recently after going back and rereading The World Without Us by Alan Weisman. This book is partly about imagining the world without humans, but it also is about extinction and global warming. His solution is fixing overpopulation by every couple having only one child. The Only Child is an interesting counter-argument against Weisman’s proposal (though what is the solution then? perhaps finding another livable planet – go exoplanets! ).